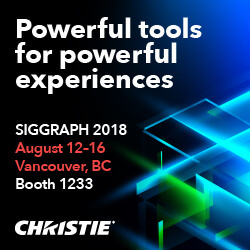 Birds of a Feather sessions at SIGGRAPH 2018 are graphics-related, attendee-organized, informational discussions of shared interests, goals, technologies and/or backgrounds. BOF submissions are open with very limited availability. Share your ideas and interests by proposing a Birds of a Feather discussion for SIGGRAPH 2018. All SIGGRAPH 2018 Birds of a Feather requests are subject to a review and approval process. DescriptionThis Birds of a Feather is for attendees interested in virtual reality's roll in education, including teaching VR and using VR as a teaching tool. DescriptionThe International collegiate Virtual Reality Contest (IVRC) is a contest that assesses the innovation, technical challenges, and impact of interactive products designed and created by students. DescriptionDemoscene was born in the computer underground, and demos are the product of extreme programming and self-expression. This session reveals the best of new and old-school demoscene. DescriptionA discussion of an integrated teaching approach in computer simulation, modeling, data analysis, and validation in undergraduate curriculum using various technologies. A presentation includes crowd simulator for police and counter-terrorism. DescriptionBlender chairman Ton Roosendaal presents last year's achievements and a peek forward into next year. Everyone's welcome to share feedback. DescriptionIn this lighting talk event everyone can get 5 minutes to present their work done with the Blender Open Source software. This ranges from software development to art or animation. DescriptionThis Bird of Feathers is for all educators attending the conference. Come and meet other educators. DescriptionA place to chat about our career paths, personal projects or home country industries! Un espacio para platicar sobre nuestro crecimiento, proyectos personales o la industria en nuestros paises! DescriptionInvited Only. Join us and meet our scientists to know about the state-of-the-art visual technologies in China. Sponsored by Advanced Innovation Center for Future Visual Entertainment in Beijing Film Academy. DescriptionThis is the chapter reunion for attendees from Taiwan and everyone interested in graphics in Taiwan. DescriptionIn this session on immersive visualization systems for science and research, scientific visualization information visualization, art and science, invited speakers and panels discuss collaborative initiatives in visualization and visual-analytics frameworks. DescriptionDiscussion of MaterialX, an open standard for the transfer of rich material and lookdev content between different DCC tools and renderers. DescriptionThe ACM SIGGRAPH Cartographic Visualization (Carto) session explores how viewpoints and techniques from the computer graphics community can be effectively applied to cartographic and spatial data sets. 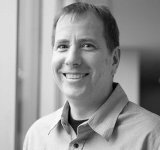 DescriptionCome meet the candidates vying for Treasurer and Director at Large on the ACM SIGGRAPH Executive Committee. Candidates discuss their visions and answer any questions you might have. DescriptionWe will discuss emerging graphics and vision approaches for spatial AR/VR, generative geocoding, and deep learning for geospatial data. Let's digitize the world together! DescriptionFor users and others interested in Open Shading Language, the de-facto standard modern high-end shading language for physically-based rendering. OSL is an open source project. DescriptionThis Birds of a Feather is for attendees interested in SIGGRAPH-related curricula. DescriptionA strategic goal of the ACM SIGGRAPH Executive Committee is to grow the SIGGRAPH Community by bringing in emerging communities and established nearby communities. Help us identify target communities. DescriptionWe will invite users to discuss AliceVision, a new open source Photogrammetric Computer Vision framework and Meshroom, that allow artists and scientists to customize 3D reconstruction and camera tracking pipelines. DescriptionCryptomatte is here, widely used in the animation industry and implemented by many production renderers. This forum is for users and developers to discuss production use cases and future developments. DescriptionThis BOF will discuss various topics on the open source project OpenVDB, including a new governance, novel collaborations and contributions, ideas and plans for future development, and Q&A. DescriptionAn open discussion with other CG professionals who are transgendered, intersexed, or non-binary; as well as anybody who supports the TG community in the Visual Effects industry. DescriptionAn informal gathering for anyone interested in hearing about and discussing the latest trends in production pipelines. DescriptionBy invitation only: Faculty and researchers affiliated with the University of Washington Computer Science & Engineering School, gather to talk with each other over drinks and snacks. DescriptionJoin us for the announcement and discussion of the Academy Software Foundation, a new organization designed to support open source development in the entertainment industry. DescriptionLeonardo/ISAST has supported big ideas of art/sci/tech since 1968. We are reaching out to thought leaders and the curious in an effort to nurture the exploding art/science/technology global community. DescriptionThis Birds of a Feather is for Education and Production professionals interested in discussing an emotionally intelligent project management style as applied to collaborative pipeline-based projects. DescriptionDiscuss the latest on OpenEXR and future areas of development. DescriptionA discussion of the latest news and community activity in the open-source CesiumJS project for 3D globes built on WebGL and discussion of 3D Tiles for streaming massive 3D models. DescriptionDiscuss how to "create for good" with an opportunity to meet like-minded individuals. Presented case studies stimulate a discussion, followed by hands-on experiential prototyping of ideas from our discussion. DescriptionThis BOF is for attendees interested in the role of internships and related curriculum in higher-ed animation programs. Sponsored by ASIFA-Hollywood Animation Educators Forum. DescriptionJoin the first public discussion of consolidated industry preferences on features, timing and process for the next version of ACES! Catch up on new ACES components and documentation. Refreshments served. DescriptionHow do you teach to the rapidly evolving technologies of virtual and augmented reality? This session is a discussion of curricular and pedagogic approaches to VR instruction. DescriptionUpdates on the status of OpenColorIO (OCIO) and a chance for in-person dialog among OCIO developers and users. share new ideas in the field of teaching 3d animation. Session open to anyone also interested in entering the field. DescriptionJoin a continued discussion with key representatives from the graphics community who will compare experiences and explore techniques related to pushing the production pipeline and correlated resources toward the Cloud. DescriptionSimilar to our Siggraph 2017 BOF, we invite animators, riggers, and engineers to discuss animation tools used in the industry (third party and proprietary) as well as related topics. DescriptionAn open round table discussion about the uses of Realtime Rendering, VR and AR in architecture, product rendering and other unconventional ways. DescriptionGeneral discussion of cloud-based rendering: problems, solutions and best practices. Technical details related to networking, storage, performance, etc. Discussions around other cloud workloads are most welcome, eg. simulations and transcoding. DescriptionHistory of the epic SIGGRAPH runway show (2002-2005) told by its founder, curator and cyborg host. Followed by interactive, audience-centric discussion of the present and future of wearable technology @SIGGRAPH. DescriptionProgress update and open discussion about OpenTimelineIO, an API and interchange format for editorial cut information used in production at a variety of studios. DescriptionAutonomous vehicles require millions upon millions of test miles. Learn how computer graphics and simulation techniques can make autonomous vehicle testing more efficient and safe. DescriptionJoin us, where we will explore the concepts of virtualization in the production workflow for film, television, animation, gaming, and VR/AR. DescriptionJoin the discussion with the developers and users of Universal Scene Description (USD) and OpenSubdiv, who will showcase the work done in the past year and plans ahead. DescriptionDiscussion of large-scale rendering: renderfarm infrastructure, software and queue management, remote data centres, reliability, and performance. DescriptionThis BOF is for attendees interested in hearing about and discussing the latest trends in dynamic simulation (rigid, cloth, hair, fluids, etc.) in production. Come. Connect. Collaborate. Experience. Enjoy. DescriptionJoin the StudioSysAdmins reception to celebrate 10 years of bringing people together to help efficiently solve studio infrastructure/support issues. This is open to everyone, but please RSVP. Space is limited. DescriptionJoin us for a discussion about the early years of SIGGRAPH Art Shows. Share your stories, listen to the adventures of pioneers and learn about the roots of digital arts. DescriptionRapid-fire overview of all things Khronos - including updates on Khronos compute, vision and machine learning initiatives not covered in the other BOFs! DescriptionThis BOF is for individuals interested in OpenSceneGraph, the open source visualization system. Attendees will be interested in the current state of OpenSceneGraph development and plans for development in 2019. DescriptionThe latest news on the glTF tools ecosystem, extensions, and specification. Developers and artists can learn what's new in glTF, the efficient API-neutral 3D format with PBR materials. DescriptionA place to swap mocap techniques, new developments and war stories. All people are welcome to attend, regardless of mocap experience! DescriptionThe 50th SIGGRAPH Conference is now just 5 years away in 2023. We need to start planning now so bring your ideas and thoughts to share. DescriptionDiscussion of the latest developments from the Gaffer community. Gaffer is an open source node-based application for procedural scene generation, shader authoring, rendering, basic image compositing, and pipeline automation. DescriptionThis BOF is for attendees interested in emerging technologies for achieving six degrees of freedom playback experiences of live and pre-recorded real world events, such as sports and movies. DescriptionCome see the latest techniques for deploying GPU-accelerated 3D content to the World Wide Web via HTML5 and WebGL. Meet the community and ask your pressing questions! : Design Printing and Scanning: Web3D Makers Making More! Description3D-CAD models reach beyond the screen to physical objects. Intelligent X3D applications link 3D printing and scanning. How can we integrate 3D publishing further in new devices and authoring toolchains. DescriptionCome share your VR creations, inquiries, and ideas. Bring your headsets, demos, and questions. Whether you are experienced or getting started, come network and collaborate with the VR development community. DescriptionHear the latest on the VFX Reference Platform, including plans for Python 3, and discuss software versioning challenges and opportunities with your peers from both studios and software vendors. DescriptionUpcoming X3D Specification improvements add full Web integration, Physically Based Rending, and VR/AR/Mixed Reality. What other capabilities does the SIGGRAPH community need for 3D publishing on the Web? DescriptionIt will include information about ISEA2019, the 25th International Symposium on Electronic Art, to be held in Gwangju, South Korea: Lux Aeterna - City of Light, plus ISEA2020 Winnipeg, Canada. DescriptionThis Birds of a Feather is for female-identifying researchers, faculty, and graduate students in computer graphics. DescriptionMeet users and developers at this 3rd BoF for an open discussion. Get updates from and share ideas with everybody interested in MDL. DescriptionThis BOF is for attendees interested in getting involved with the Education Committee. Learn what we do, and how to get involved with a community that supports innovation and creativity. DescriptionWe’ll give an update on the technical details of the of the OpenXR standard for virtual and augmented reality, including the application and device interfaces, and interoperability between different hardware. DescriptionWe will introduce most advanced content technology in Japan at the DCAJ Session. Please join us to know Japan's cool technology! DescriptionWhat is the future of demo reels in a world of XR, emerging tech, and storytelling techniques? What will studios need to see? What role will educational institutions play? DescriptionAn open discussion about Python's use in both VFX and game production environments. Topics to include: popular packages, environment managers, Python 3 migration, linters, education and more. DescriptionData-harmonization efforts by Web3D, DICOM and HL7 are working to support medical visualization, analytics, and electronic publication medical records. Whatelse is needed to make 3D capabilities available to support everyone? DescriptionThis BOF is for attendees from the Computer Graphics and VR/AR community interested in interfacing with Simulation Theory, Human Factors, and Simulation tools such as MATLAB/SIMULINK, Mathematica/System Modeler, and others. DescriptionSee what’s happening with Khronos' open standard native 3D APIs! Get the latest about technical features, applications, tools, and ecosystem developments in Vulkan and OpenGL that’s driving 3D graphics forward. DescriptionJoin female CG professionals to discuss how to create a positive work environment by eliminating obstacles. Talk about what holds us back and share how we have navigated similar problems. DescriptionThe Undergraduate Research Alliance provides a venue for educators to come and discuss recent research efforts with undergraduates, as well as learn how to organize undergraduate research. DescriptionThe Massive Collaborative Animation Projects is an initiative created two years ago to provide a framework for students from institutions around the world to join together in animation projects. DescriptionThis BOF gathers leading Florida professionals and academics to share experiences in this HOT area of new, developing CG industries. Anyone interested in Florida's CG community is invited to attend. DescriptionNow that HLSL is on GitHub and supported in Vulkan, Direct3D, etc., and contributed to W3C, this forum lets contributors and fans discuss its current status and future evolution. DescriptionJoin us after a full day of technical sessions to have a beer or two, talk with Khronos presenters, see demos, and network with fellow developers. DescriptionInterested in meeting "others' from underrepresented groups in computer graphics? Celebrate pride and belonging in art, engineering, and computer science as part of the ACM SIGGRAPH Diversity and Inclusion Summit. DescriptionA discussion about how Machine Learning techniques can be applied to maximize render farm utilization and efficiency. Data pipelines, ML frameworks, operationalizing models, influencing the farm secheduler, assesing results. DescriptionThis Paris chapter program is a selection of 19 short films from the various French animation schools. It aims at covering the whole spectrum of creative animation (duration = 90mn).